We First Nations people have lived our lives knowing and feeling that terra nullius didn’t just mean ‘empty land’ but that its deeper meaning was that we did not exist and that we did not belong any longer anywhere on the Earth and especially not on our own lands. This legal fiction, used by the British Crown and the new ‘Australian’ colonial government to claim lands that had been populated for thousands of years – or ‘time immemorial’ as the poet and writer Maureen Watson stated – is the basis of the worst attempted genocide in colonial history. The British claiming that there were no people here, no human beings, only flora and fauna – despite everyone knowing, seeing, hearing, writing of, painting and telling stories of the natives of New South Wales, Tasmania and other parts of Australia – was a deep psychological wound that has taken all these generations since the 18th century for us to come to terms with. The many expeditions and exploratory sailors that came to this continent from north, west, east and south – noting observations in their journals of an ‘occupied’ land – is now part of evidence. We know this place was not terra nullius and we now know that all the First Nations peoples fought the occupation and colonisation of their lands. The history of Tasmania is particularly poignant, because in my lifetime most migloos have talked about there being no blackfellas left in Tasmania, in the same breath assuming that Indigenous culture, knowledge, and history had all died with them. Many migloos in Tasmania and Australia were proud of this, proud that they nearly wiped out an entire human population through war, destruction of their spiritual and cultural lives, forced removal, neglect, poverty and denial – ‘the great Australian silence’ that anthropologist WEH Stanner describes in After the Dreaming (his Boyer Lectures in 1968) . This is why Dr Taylor’s book is so important. The documenting of Ernest Westlake’s search for stones has given rise to a powerful testimony of the wisdom, knowledge and truth of what happened to Tasmania’s First Peoples and the loss Australia should feel. The psychological impact of terra nullius came to me in the mid-1990s when I was training in Los Angeles, at the John Bradshaw Clinic at Rosemead Hospital, to be a therapist in abuse and addiction recovery. It was here that I came to deeply understand the impact of the generational acculturation process that impacts all colonised societies, and that traumatised Indigenous peoples the world over for generations. All humans are born with an innate need to belong and to know, when we arrive into this world, that we are accepted, cared for and loved just because we exist. We are sacred beings. We are all humans of this Earth living in and on it, sharing and using its resources for our human lives. The English in England, the French in France, the Dutch in Holland, the Portuguese in Portugal, the Danes in Denmark, the Germans in Germany, the Russians in Russia, the Chinese in China, the Inuit in Nunavut, the Sami in Norway, the Sioux in South Dakota, the Annishenabe in Minnesota, the Cree in northern, western and eastern North America, the Toltecs in Mexico and so on. We are all peoples of different continents, different lands, different cultures; and history shows how some of those dominant cultures – mostly Euro-western centric cultures such as the Vikings, the Saxons, the English and later the British, the French, the Spanish, the Portuguese and the Dutch – began to colonise lands beyond their own, in search of cheaper resources for their home countries, to serve their economies or to spread religion or philosophy in the form of capitalist democracy. Thinking themselves superior in intellect, doing and knowing, these warring patriarchal cultures, where violence gained land and resources, slaves and subjugation, came exploring to take over Ngungynateea – Australia – by force. No matter that we know that Captain Cook and Captain Phillip were given other instructions by the colonial office in London; the foundation of their explorations and settlement-making in Australia meant the wholesale destruction of our Indigenous clans and culture, Law and spiritual way of life since 1788. The starting point might be to recognise that the problem starts with us non-Aboriginal Australians. It begins, I think with that act of recognition. Recognition that it was we who did the dispossessing. We took the traditional lands and smashed the traditional way of life. We brought the diseases. The alcohol. We committed the murders. We took the children from their mothers. We practised discrimination and exclusion. It was our ignorance and our prejudice. And our failure to imagine these things being done to us. With some noble exceptions, we failed to make the most basic human response and enter into their hearts and minds. We failed to ask – how would I feel if this were done to me? Stanner said there was a ‘cult of forgetfulness practised on a national scale’ regarding the fate of Indigenous peoples in Australia during European conquest and settlement. Stanner told his 1968 audience that, when he reviewed the major Australian histories by leading Australian scholars that ‘probably expressed well enough, and may even have helped to form, the outlook of socially conscious people between say, 1939 and 1955’, he struggled to find mention of Australia’s Indigenous Peoples. What he found was that it was ‘only too clear that they [Indigenous Peoples] are marginal, and in a deeper sense, irrelevant to the author’s story’. Stanner termed this ‘the great Australian silence’. Where he did find mention of Indigenous Australians, it was often under a chapter entitled ‘Aborigines’, which also dealt with ‘other wildlife’. Rebe Taylor has done the extraordinary with her skill as an historian and her exceptional writing. She has given us a book of deeply researched and evidenced skill, coupled with an exceptional ability as a writer who can draw and weave a picture of profound resilience. 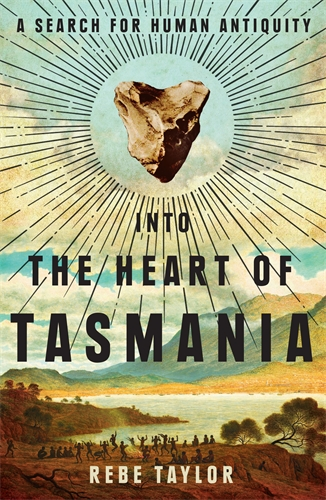 In following Westlake, this colonial eugenic geologist, on his life’s quest to carve a place for himself in history and the science of his field, Dr Taylor has provided us with a story of profound understanding, of loss and grief, but also of the courage and the beauty of Tasmanian First Nations peoples in their determination to stand their ground in their sovereignty and their cultural rights to take care of themselves and Country. I cried when I read this book, at the way in Dr Taylor describes and shares the story of colonial denial of the truths many of us have lived through; I felt the profound sorrow of their being made terra nullius in their own lands. This story, on the one hand, celebrates the ability of Westlake to endure the conditions in early colonial Australia and his own resilience and determination to create a great collection and, on the other hand, it celebrates the power of Tasmanian Aboriginal culture, community and spirituality. Rebe writes with humility and the knowing that, as a non-Aboriginal academic scientist, she has a responsibility to ‘step back’ and ‘allow’ the voices of her subjects to emerge. It’s disgusting but true. 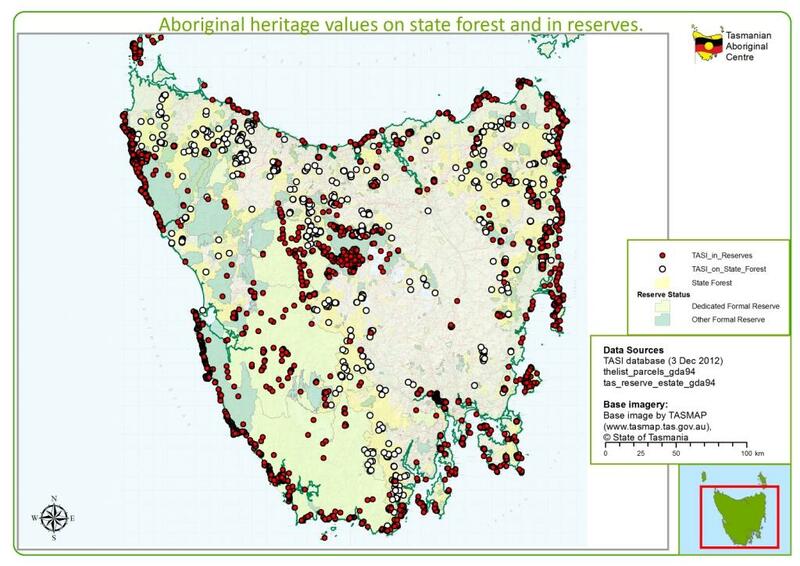 Their quiet, determined way of getting on with claiming their place and space in Tasmania’s history and the strong and proud way in which they stand for their land, their Ancestors and their country was beautiful to read. The way in which Jimmy Everett and others accepted Rebe Taylor into their world and shared with her was the true way of nparji nparji. To read of how it felt for Jimmy Everett on returning to the Brighton Bypass, how his children and other Tasmanian families get on with sharing and caring about Culture, can only be described as deeply moving and beautifully written. Dr Taylor has written the daunting true story of Fanny Smith, her contemporaries and her descendants and the ‘big migloo men’ of anthropology, geology, archaeology and how wrong they got it in the past of working with our people. The arrogance of scholarship and science, when not worked with and alongside us, was so clear in this book. They were all there for their own search, their own careers and their own egos, not for the preservation and sustenance of Tasmanian culture and history. Westlake was a man of his era, a colonial who believed in eugenics as espoused by AO Neville, of Rabbit Proof Fence infamy. Westlake’s views of Tasmanian Indigenous people can only be described as ignorant, racist and superior, not unlike most of his colonial buddies and, sadly, the scientists who came after him to work with the Tasmanians in ‘discovery’ of the ancientness of their culture. This true oral and evidenced written story caused so much heartache, trauma and generational grief and loss, that First Nations people, and especially the Tasmanian clan groups, are only now on the recovery journey to wellness and wholeness. Rebe Taylor’s book is a powerful testimonial of Tasmania and all that was wrong about Australia’s colonial history, where its dreadful oppression and genocide of our Tasmanian brothers and sisters was so systematically planned and executed. It is a dynamic investigation of the ignorance and ignoring of our Tasmanian brothers’ and sisters’ history. 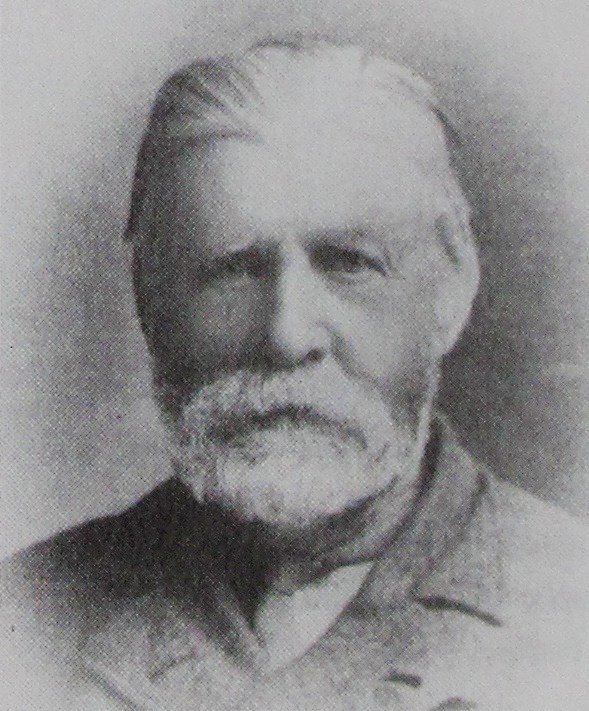 In following ‘the collector of stones’, Ernest Westlake, Dr Taylor weaves a story so authentic and distasteful in the telling, with the power of historical truth and evidenced research, that we find Westlake being the epitome of the colonial discoverer focused on his work and reputation. His life’s purpose of discovering and removing the cultural property of our Tasmanian brothers and sisters is a story no-one should miss reading. Dr Taylor writes with authority, integrity, and a deep desire to right an historical wrong. I believe this book can ensure a new generation of archaeologists’, geologists’, anthropologists’ and historians’ deeper consideration of Indigenous people’s sacred cultural and spiritual lives, stolen from them for too long. My language (Queensland Wakka Wakka-Murri) word for ‘white people’. nparji nparji Pitjanjatjara word meaning ‘mutual reciprocity, giving and sharing’. * Tjanara Goreng Goreng is a Wakka Wakka Wulli Wulli woman from Central Queensland. She is a PhD scholar at the Centre for Academic Economic Policy Research at ANU, an Adjunct Assistant Professor at the Faculty of Arts and Design at the University of Canberra, Founding Convenor One INMA Global (Australia), and Chair, Foundation for Indigenous Recovery & Development Australia (FIRDA).